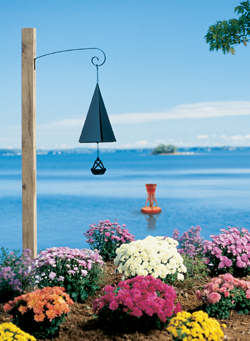 The Newport Bell™ carries the rings of this premier destination for sailors and cruisers. Rich with nautical history, renowned world class regattas, and a go-to desination for vacationers. Many are reminded by the pleasant tones this bell brought them, as they sailed the Gould and Goat Islands.